Lifesaving Sport Team will introduce participants to the sport of lifesaving, while providing them with training opportunities to attend lifesaving competitions throughout the year. Throughout the year, specially trained Lifesaving Coaches will concentrate on developing each swimmer’s strength, power, and endurance. Participants will also focus on swim technique and expanding their skills into the sport of Water Polo. Lifesaving Sport Team participants may register for the annual program or choose the seasonal program. The Lifesaving Sport Team is comprised of ages 8 and up. Pre-requisites for Lifesaving: Completed Swimmer 5 or Swim Kids 6, feel comfortable in deep water, dive into the pool, swim 5-8 minutes continuous and follow coach’s directions. The 2018-2019 Lifesaving Sport Team runs from September 10th-June 16th. Start and end dates may vary slightly depending on group. Further details will be communicated by the coach. Annual Program fees cover coaching; a training schedule which may include dryland, yoga, swimming, water polo and lifesaving sport training; equipment costs and Swim Nova Scotia fees. 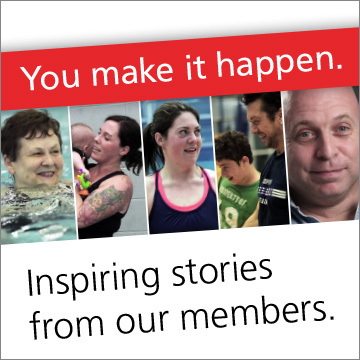 Also, annual Swim Academy participants on the Lifesaving Sport Team receive a 12-month Canada Games Centre membership. Seasonal CGCSA programs are structured with four registrations throughout the year, but still provide access to training for all three sports – swimming, lifesaving and water polo. Register for all four seasons or pick and choose. Seasonal programs do not include Canada Games Centre Membership or option for Dryland and Yoga training. Seasonal Program fees cover coaching; a training schedule which includes swimming, water polo and lifesaving sport training; equipment costs and Swim Nova Scotia fees. The Lifesaving Sport Team is aligned with the Fundamentals and Learn to Trains stages of the S4L Long-Term Athlete Development. Click to learn more about CGCSA and S4L.